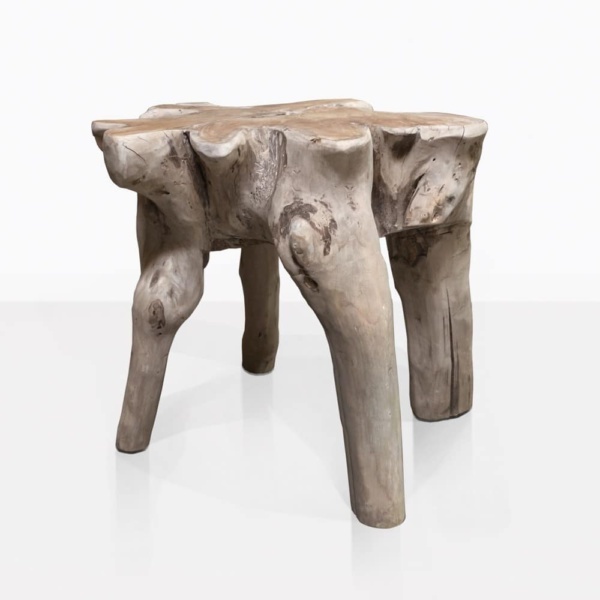 Add an organic and earthy vibe to your outdoor living space with these fantastic side tables. The Oro Organic Accent Tables are beautifully carved from the teak tree root and trunk. The top is then smoothed out and left raw. 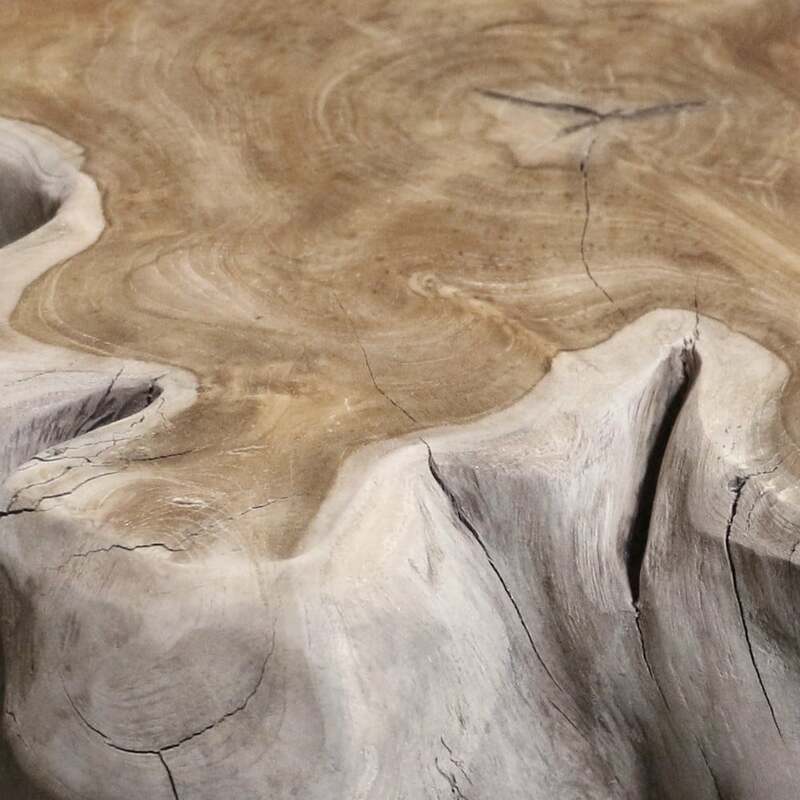 Each table is truly a work of art by nature. Either three or four legs are carved as a part of the table, or added to make the table secure. 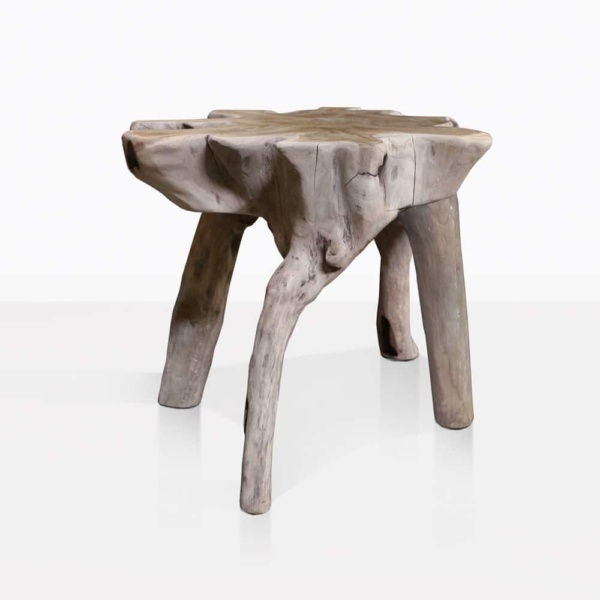 These tables are perfect next to lounge chairs, loveseats, or sofas, indoors or out. They are just the right size to rest a drink, book, candle, or small potted plant. Please note that each table will vary in size, color, weight, and texture. 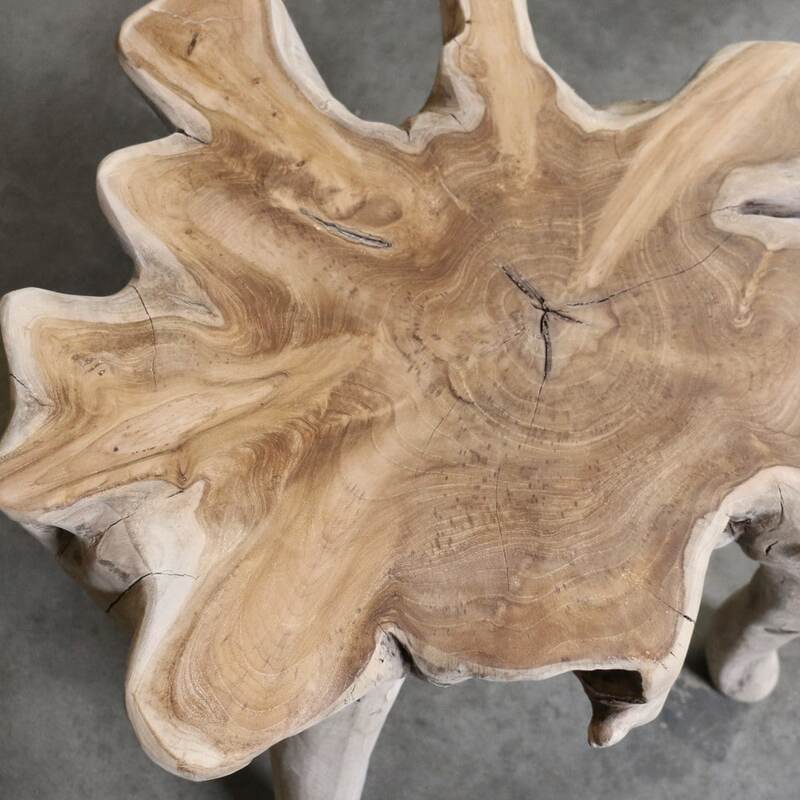 Please call us today if you have any questions about our stunning Oro Side Tables.